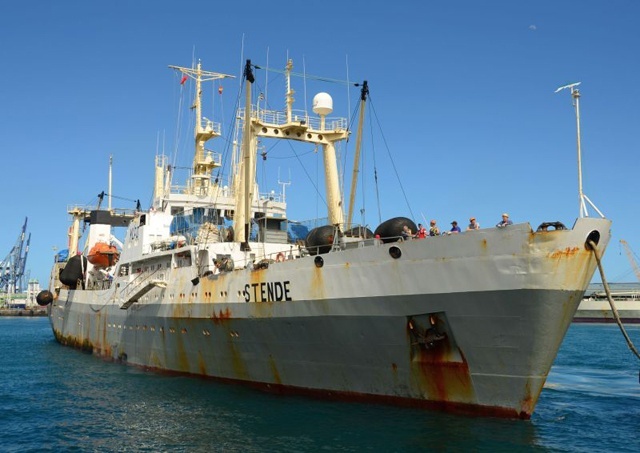 (Seychelles News Agency) - The President of the Seychelles, James Michel, has sent a message of sympathy to Russian President Vladimir Putin and the people of Russia after a fishing trawler sank off Russia's Far East coastline, killing at least 54 people on board. "The government and people of Seychelles join me in expressing our heartfelt sympathies and deepest condolences to the people of Russia and the families of the victims following this tragic loss of human life,” said Michel in a statement released on Thursday afternoon. The Russian trawler ‘Dalniy Vostok’, which was carrying some 132 people on board, sunk in the Sea of Okhotsk off the Kamchatka peninsula, possibly the result of a collision, according to AFP reports. The Russian Investigative Committee has reportedly launched a probe into the disaster "on grounds of possible violation of safety measures". Sixty-three people were pulled from the freezing waters by teams of rescuers after it sank in the early hours of Thursday morning, but fifteen people were still reported to be missing. According to AFP, some 1,300 rescuers on 26 vessels and a helicopter would continue to scour the area until nightfall, when the search would be scaled back. The 104-metre long ship had a multinational crew, including 78 Russian citizens and 42 Myanmar nationals. The seas off the Russian Far East, which are popular commercial fishing grounds, can be treacherous - the sinking of a South Korean fishing boat in the Bering Sea between Russia and Alaska, which claimed the lives of 27 people and left 26 more missing.